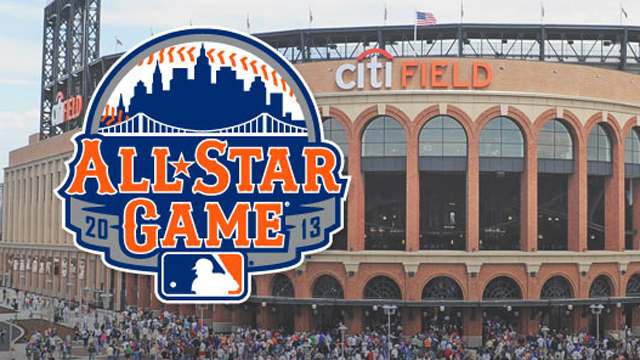 The 2013 MLB All Star Game is two weeks away and the all-star game voting ends tomorrow night. With players’ stats not likely to change dramatically between now and then, I will release my ballot for which players I think best deserve to make this years mid-summer classic at Citi Field, home of the New York Mets. Without a doubt, the toughest positions to make a selection for are AL first base, AL third base, NL catcher, NL first base, NL second base, and NL outfield. 34 players from each league get to make the game, and even after that, there will still be a few players who will unfortunately have to be snubbed. The offensive production has been amazing this year and a lot of guys who deserve to start, won’t be able to. I will also be making the pitching selections as well, not just position players picks. I’ve done this the last two years, and I haven’t missed on many players at all. Lets see if I can keep the hot streak going. C – Joe Mauer, Minnesota Twins: .316 AVG, 8 HR’s, 28 RBI’s, .399 OBP, .474 SLUG, .873 OPS, 3.7 WAR. 1B – Chris Davis, Baltimore Orioles: .331 AVG, 32 HR’s, 83 RBI’s, .406 OBP, .731 SLUG, 1.137 OPS, 4.1 WAR. 2B – Dustin Pedroia, Boston Redsox: .323 AVG, 5 HR’s, 47 RBI’s, .405 OBP, .445 SLUG, .850 OPS, 4.1 WAR. 3B – Miguel Cabrera, Detroit Tigers: .364 AVG, 26 HR’s, 85 RBI’s, .454 OBP, .670 SLUG, 1.124 OPS, 4.9 WAR. SS – Jhonny Peralta, Detroit Tigers: .308 AVG, 7 HR’s, 37 RBI’s, .368 OBP, .451 SLUG, .819 OPS, 2.3 WAR. OF – Mike Trout, Los Angeles Angels: .315 AVG, 13 HR’s, 53 RBI’s, .390 OBP, .540 SLUG, .930 OPS, 3.4 WAR. OF – Adam Jones, Baltimore Orioles: .293 AVG, 15 HR’s, 59 RBI’s, .315 OBP, .482 SLUG, .797 OPS, 2.0 WAR. OF – Jacoby Ellsbury, Boston Redsox: .298 AVG, 1 HR, 29 RBI’s, .361 OBP, .404 SLUG, .765 OPS, 2.8 WAR. DH – David Ortiz, Boston Redsox: .317 AVG, 16 HR’s, 57 RBI’s, .407 OBP, .602 SLUG, 1.009 OPS, 2.2 WAR. SP – Max Scherzer, Detroit Tigers: 13-0, 3.09 ERA, 0.92 WHIP, 139 K’s, 3.2 WAR. C – Yadier Molina, St.Louis Cardinals: .352 AVG, 6 HR’s, 45 RBI’s, .394 OBP, .500 SLUG, .894 OPS, 3.6 WAR. 1B – Paul Goldschmidt, Arizona Diamondbacks: .301 AVG, 20 HR’s, 69 RBI’s, .379 OBP, .551 SLUG, .930 OPS, 4.0 WAR. 2B – Matt Carpenter, St.Louis Cardinals: .324 AVG, 8 HR’s, 35 RBI’s, .397 OBP, .495 SLUG, .893 OPS, 3.7 WAR. 3B – David Wright, New York Mets: .308 AVG, 13 HR’s, 43 RBI’s, .393 OBP, .530 SLUG, .923 OPS, 4.7 WAR. SS – Jean Segura, Milwaukee Brewers: .320 AVG, 11 HR’s, 33 RBI’s, .352 OBP, .495 SLUG, .847 OPS, 3.2 WAR. OF – Carlos Beltran, St.Louis Cardinals: .304 AVG, 19 HR’s, 50 RBI’s, .345 OBP, .539 SLUG, .884 OPS, 1.9 WAR. OF – Carlos Gonzalez, Colorado Rockies: .294 AVG, 23 HR’s, 61 RBI’s, .363 OBP, .604 SLUG, .967 OPS, 3.6 WAR. OF – Carlos Gomez, Milwaukee Brewers: .308 AVG, 12 HR’s, 37 RBI’s, .348 OBP, .553 SLUG, .901 OPS, 4.8 WAR. SP – Matt Harvey, New York Mets: 7-2, 2.27 ERA, 0.91 WHIP, 141 K’s, 4.5 WAR. When it came to my National League team, I would have started Rockies shortstop Troy Tulowitzki, but with him injured and likely to miss the ASG, I omitted him from my ballot entirely. I’m also not a fan whatsoever of the “every team needs a player to represent them” rule when it comes to the All-Star game, because although Cubs starter Travis Wood is having a nice season, I don’t entirely feel he deserves a roster spot over a couple other pitchers in the NL, along with Astros second baseman Jose Altuve when it comes to position players in the AL. Unfortunately, there’s not much I can do though, right? Well, this is my first and final All-Star ballot for 2013 and I hope you’ve enjoyed it. Now lets see how many of my picks match with the actual picks when they’re announced on Sunday. Enjoy the 2013 All-Star Game everybody! This entry was posted on July 4, 2013 by stevep. It was filed under Uncategorized .